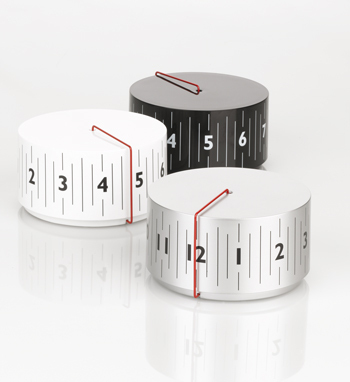 The Domino Clock – I’d love to have one of these in the office. This clock looks really cool! It’s a cylinder that simply rotates and the position of the red line (which doesn’t move) indicates the current time. Brilliantly simple. I really want one. You can buy the Lexon Around Clock online. 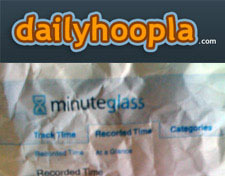 Dailyhoopla which bills itself as “Your Daily Dose of Phoenix Tech News” has apparently “found” a printout of a screen from Minuteglass. Sweet! Something to talk about as we are in development. The screen in question is the “Recorded Time” page which lets you edit the time you’ve entered or recorded. I sure can’t wait to show you the rest of this page and what it does. Sometime soon… we’re still in development. We’ve been working on a brand new site for Minuteglass. Initially we’re just going to launch a new one page site that answers questions about the app and invites people to the beta. Then later launch a full site. We’ve been getting inspiration from a couple of design sites. Two links in particular I wanted to share with you are One Page Love and the Launch Soon gallery. Today is the second birthday for this blog. Track The Time has had a fantastic start. The best is yet to come however, when we release our product and change the time tracking world (or so we hope!). Thanks for everyone that is a reader. Also, note the clever title with every word beginning with a “t”! Our product has had a few names during our development process. Picking a name for a product is incredibly tricky. Not only do you need to come up with a good name that everyone likes, but you have to find the domain name. Previously, the product was called Roundup, and before that Windstorm. Now, we’ve come up with a name we’re happy with. It’s Minuteglass. It’s like “hourglass” but for minutes. Get it? We like it and we’re working on logos and also working on the product. We’ve got more people on the team, so the product is coming together faster. After I don’t know how many months of stalled progress, we made some today. Sometimes getting a project off the ground that isn’t funded, is difficult. Paying clients always tend to get the preferential treatment — mostly because they have a very real deadline, that you can’t ignore. We’re really excited about our project and believe we have a truly innovative idea. We’re using the approach: “Get a product launched and improve it constantly.” Anyways, we made quite a bit of headway today and I just had to share. Tornado Design is seeking a skilled Ruby on Rails/PHP developer that can join our team and assist us in day-to-day projects as well as our upcoming, web application! This is a full time position in Phoenix. Inquire within. I just signed up for FeedBurner and wanted to share my experience. It’s my first time setting a blog up to use an outside feed service, so I didn’t know exactly what to expect. But I knew that I wanted to be able to share how many subscribers we have. Sharing the number of subscribers is one of the key things that FeedBurner provides. You can actually track how many people have subscribed to your blog. That’s very important. I also discovered this great plugin by Steve Smith that essentially points any of your existing subscribers to your new feed url at FeedBurner. The great thing about this is that you don’t lose your existing subscribers, and you can get instant statistics about your subscribers. I am using the free version of FeedBurner. They have some extra statistics you can pay for, but I don’t need them. I also enjoyed this screen (above) which is a good example of a “blank slate” in a web application. We’ll have to think about adding a bubble like this to our application. I’m please to announce that the design phase for our web application is completed. I can’t begin to tell you how enthusiastic I am about our product. The months of work that we have put into designing this application have all been worth it. Now that it is designed, we have to develop this puppy! I realize that a lot of people out there might be thinking about designing a web application of their own. I thought it might be useful to provide some guidelines so you know what to expect. The design phase took 6 months from when we really got serious about it (August) until today (end of January) when design is done (all in Photoshop at this point). We worked mostly nights and weekends, with 99% all of the work being done on the weekends. If you figure that there were 24 weekends during this time period, and roughly 75% of those weekends were devoted to designing the application, it represents roughly 36 days of design time. I can’t imagine designing something like this in only 36 days. We needed a lot of time to think about what we were doing, and ponder improvements on paper throughout the week. That’s 288 hrs (at 8 hrs a day). I’m sure I spent more than that though. I discovered that gathering feedback from other people is hugely valuable but does tend to increase the number of features, which can be good (it was in our case). 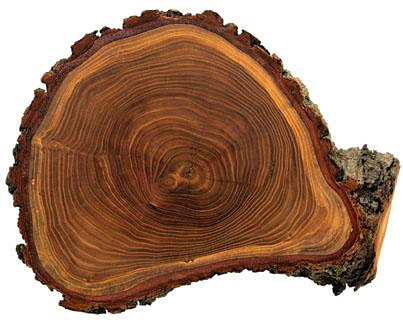 To design a rather large web application, you have to deeply care about what you are making. I could have never done this without my deep desire to get this made. I believe our product is going to change the way people track their time. The question that obviously arises is this: Would I have been better off taking a month off of work, and focusing exclusively on our application? I don’t know the answer to that question, but I think it would have been nice (but I couldn’t do that). Plus, I needed time to think about each iteration of the design. Build the front end in CSS / XHTML and begin talking with development teams. Set up a bank account and talk to payment gateways. Finish writing initial draft of documentation for developers.